Politicos in Southern Arizona have been speculating for a few months that Mark Kelly might run for his wife’s former congressional seat in 2014. Mark and Gabby have been in front of the cameras promoting gun control through their newly formed Americans for Responsible Solutions. Shortly after rolling out the new initiative, Kelly was spotted actually buying an AR-15 for himself – or not. The transaction was actually cancelled by the gun store because it appeared Kelly was not purchasing the rifle for his personal use, a violation of federal law. The AR-15 story was still going strong when this video pops up on the internet. The news report claims the dog belongs to his daughter. She does not have anywhere near the control over the animal that Kelly has. The hypocrisy of liberals is that they want women to pee and puke while being raped while members of the left get to go around buying the very gun they seek to ban and they can own dogs that kill furry little animals that the rest of us are suppose to protect. 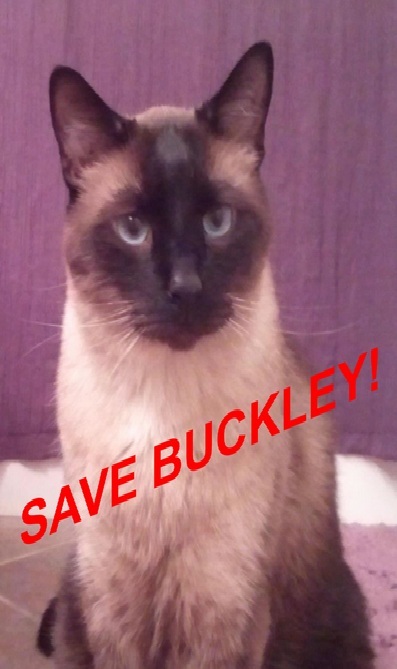 Please help to save Intellectual Conservative’s Buckley Alexander. Click on the photo below to find out how. Maricopa County Sheriff Joe Arpaio really is a tough sheriff with a soft spot. Mandate morphing from education to four-year resorts, state universities drain state resources and families’ budgets to woo students with trendy food courts, spa-like amenities and luxury rooms, not academic excellence or useful degrees. Worse, putting politics over science and in-loco-parentis duty one major state university has put a huge stamp of approval on one of the most body-damaging diets ever invented by devoting an entire cafeteria to it. The media is proving itself to be complicit in conveying it approves of the spread of deadly Veganism by reporting only positively on Veganism and a state-funded cafeteria to promote it, without any dissent allowed to spoil the digestion of this toxic and dishonest combination. “The University of North Texas in Denton, known for its jazz program and hipster vibe, has opened an all-vegan full-service campus cafeteria that it and animal-rights activists say appears to be the first in the nation. After just a week of school, the lines at “Mean Greens” – a play on the UNT Mean Green football team name – snaked out the door. Hard to know what’s worse here. The state sanctioning a politically religious cult by spending hundreds of thousands of dollars or more to give the cult a showcase for their “approved” way of eating, or Reuters’ soothing portrayal of it without a syllable of critique in order to give it wider publicity, or that children, teens and college-age students are the most vulnerable to the damaging effects of Veganism and that the UNT university ought to have a nutrition department that can testify to that fact, or that state universities as institutions are shape-shifting into nothing more than four and increasingly five years of high-end resort living complexes with season passes to sports games in state of the art stadiums, courts and fields. This is not isolated to UNT, but has become the pattern across the country as state universities invest in non-educational frills to sell themselves instead of a solid educational product. They are promoting a comprehensive “lifestyle,” not market skills. Useful degrees are no longer the priority, but milking students by any means out of hard-earned money, which for many will manifest later as over a decade of steep debt payments for their four years of luxury, high-end, catered living. The state universities do not care. They got the cash and they’re constantly off looking for more. Students graduate out of the bubble with a degree the market can’t use, no way to pay to maintain the spa lifestyle they became habituated to and now take for granted. Add Veganism to the mix and more than few students can now graduate with permanent nerve damage, weaker bones and skin problems. Surrounded by spare, lower middle class neighborhoods from which come some of the taxes to finance this, ASU, typical now for state universities across the nation, is a bubble of upper middle class Liberal Left living, with the “correct” décor, mass transit, “green” “green” that magic color, funding massive food courts with elaborate menus and all the “right” foods for “progressive people,” investing millions to expand on-campus housing square footage with more student apartments, making ASU “Big Landlord” while bored students sit in classes in front of computers drearily dragging and clicking through monotonous on-line instruction they could do just as well at home for a practically nothing when they’d signed up with what is turning out to be a naive expectation that they would be taught by an actual human being faculty professional who actually knows his or her subject. Across the country at state universities, the statistics now say the staffer in the button-down sweater and clogs puttering down the hallway with a Starbucks latte in hand is an administrator, not any teaching faculty member. All those amenities need managers to manage them. And for the “intellectual rigor” universities claim, it is chillingly informative to find that Vegans defend their lethal diet by attacking actual nutritionists, much the way the Soviet Lysenko attacked actual agronomists who disputed his half-baked “agro-biology” a sort of scientific sounding complete fraud that destroyed Soviet agriculture, and by that condemned millions of Soviets to poverty and hunger. Meanwhile, young women under pressure to be “good people” damage their growing bodies by denying them essential proteins and vitamins. Vegans preach that they aren’t “moral” unless they don’t eat any animal products and make them feel guilty if they are literally hungry for a better diet, a philosophy which is blatantly religious in concept and expectations. Movie stars and celebrities preen and preach Veganism across the media, a means to “eat healthy” and “get slim.” Vegans teach that people who eat a normal, varied diet are inferior in morals, goodness, and health and thus are accepted targets of mockery and distain. How confusing is it then for many women who imposed a strict Vegan diet inexorably gaining weight because they start to compulsively snack. If they understood their bodies were desperately trying to amass essential proteins out of empty calories, the weight gains wouldn’t be a surprise. They don’t talk about the literally unnerving symptoms they develop, looking everywhere but at their dinner plates for an explanation as to why they don’t feel “healthy” the way they were told they would feel. But Veganism proponents, in classic religious cultishness blame the practitioners, not the diet for the failures, and like the insecure fawning elite in the “Emperor’s New Clothes” Vegans choke down Vegan concoctions all the while telling everyone they “like it” when it’s plain by their own faces they don’t. While university health units are reporting cases of early signs of kwashiorkor amongst young, affluent college women, UNT a major Texas university, home to tens of thousands of students has enabled increasing manifestations of this damaging malnutrition by providing a three meal a day restricted diet cafeteria. The Liberal media promotes this when it should be condemning it. The lack of intellectual, nutritional and moral honesty in all this is staggering. UNT university opened this cafeteria as a marketing ploy to attract students. It did not pour that money into better professors who can actually teach and convey information and skills. The media wants more of it; PETA has an extreme and hateful agenda, which they are selling to naïve young women in particular who then become physically harmed by the PETA-approved Veganism. PETA has always been against human beings, their world view is of people being no more value than cockroaches. That’s SHOULD have raised some doubts and a critical analysis amongst the university administration making this funding decision, but obviously not. Greedy state universities making decisions based on valuing students only as cash cows while installing crippling Veganism as a marketing plus, then suppressing information that exposes the truth of Veganism are together a cruelly ironic combination. The goal is to make this the “new normal” at state universities across the country. The educational establishment is already advanced down that route; truth, knowledge, responsibility and quality education are being left at the curb. John McCain’s Pig Gets Spanked! McCain campaign worker dresses up in a pig costume and tries to prank JD but the prank goes horribly wrong for this piggy. and cried “wee, wee, wee” All the way home. They’re planning to use $8 billion dollars of debt your children will have to pay off to force social change in American’s transportation habits. Is that the role of a government by the people and for the people? This moron is ignoring totally the fact that public transit hasn’t paid for itself since before WWII and that without another Law Enforcer authority (the Transit Police), public transit in many urban areas is quite crime ridden. … yes, you guessed it; Your Diet is Causing Climate Change! Here it is directly as reported in the Wall Street Journal. “Changing our lifestyles, including our diets, is going to be one of the crucial elements in cutting carbon emissions,” said David Kennedy, chief executive of the Committee on Climate Change. Alcoholic drinks are another significant contributory factor, with the growing and processing of crops such as hops and malt into beer and whiskey helping to generate 1.5% of the nation’s greenhouse gases. The Carbon Trust, a government-funded firm, is working with food and drink companies to calculate the “carbon footprints” of products – sometimes with surprising results. A real shocker at the Kentucky Derby as Eight Belles finishes second, collapses and is then euthanized on the track due to two broken ankles. Eight Belles was the only filly in the race finishing right behind Big Brown. Yesterday when asked who Hillary Clinton was backing to win, she replied, why the only filly in the race, Eight Belles. Barack Obama chose Colonel John as his pick with Big Brown to show. One can only imagine the political pundits all over this one. I had the privilege to meet Charlie Schweikert a few weeks ago at the Maricopa County Treasurer’s Office. 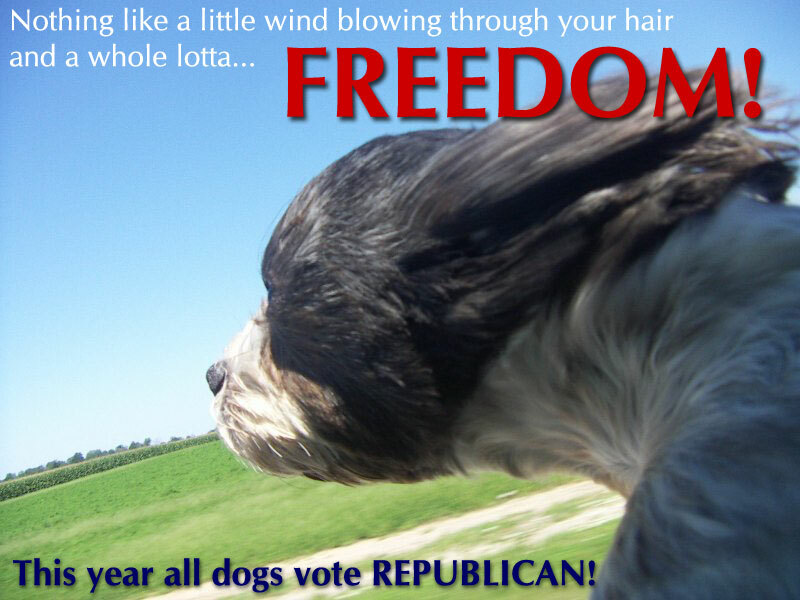 Charlie is the adopted dog of our County Treasurer, David Schweikert. He is a adorable asset to that office and Maricopa county.